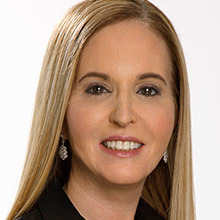 Deborah Weinswig is a leading global retail analyst and the CEO and Founder of Coresight Research, an advisory specializing in retail innovation. Previously, Weinswig was Managing Director of FGRT, the think tank for Fung Group. As Managing Director, Discretionary Team at Citi Research. Weinswig holds an MBA from the University of Chicago.